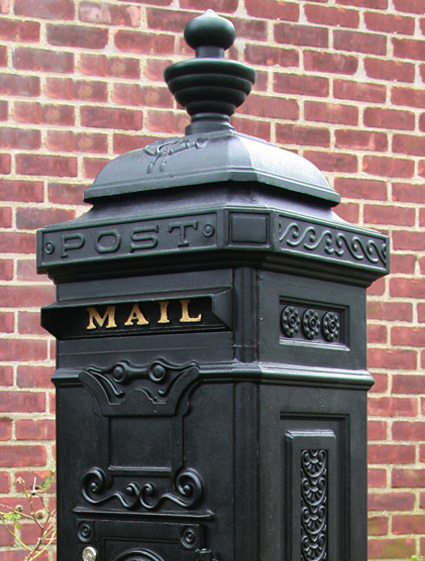 Mailbox Monday was originally hosted by Marcia at The Printed Page, but is now a traveling meme and for the month of May your new host for MM will be Mari @ Mari Reads! The vast multi-generational epic that began with The Tea Rose and continued with The Winter Rose now reaches its dramatic conclusion in The Wild Rose. - Willa Alden, a passionate mountain climber who lost her leg while climbing Kilimanjaro with Seamus Finnegan, and who will never forgive him for saving her life. - Seamus Finnegan, a polar explorer who tries to forget Willa as he marries a beautiful young woman back home in England. In the summer of 1890, in the French town of Auvers-sur-Oise, Vincent van Gogh shot himself in the chest with a revolver. He died two days later, at the age of thirty-seven, largely unknown despite having completed over two thousand works of art that would go on to become some of the most important and valued in the world. 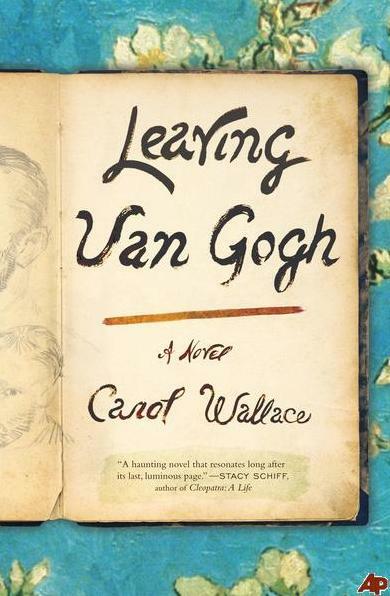 In this riveting novel, Carol Wallace brilliantly navigates the mysteries surrounding the master artist’s death, relying on meticulous research to paint an indelible portrait of Van Gogh’s final days—and the friendship that may or may not have destroyed him. Telling Van Gogh’s story from an utterly new perspective—that of his personal physician, Dr. Gachet, specialist in mental illness and great lover of the arts—Wallace allows us to view the legendary painter as we’ve never seen him before. In our narrator’s eyes, Van Gogh is an irresistible puzzle, a man whose mind, plagued by demons, poses the most potentially rewarding challenge of Gachet’s career. Wallace’s narrative brims with suspense and rich psychological insight as it tackles haunting questions about Van Gogh’s fate. A masterly, gripping novel that explores the price of creativity, Leaving Van Gogh is a luminous story about what it means to live authentically, and the power and limits of friendship. This analysis of how filmmakers have portrayed England's Queen Elizabeth I (1533-1603), and the audience's perception of Elizabeth based upon these portrayals, examines key representations of the Tudor monarch in various motion pictures from the Silent era on and in television miniseries. Actresses who have portrayed Elizabeth include Bette Davis, Glenda Jackson, Judi Dench, Cate Blanchett and Helen Mirren; Quentin Crisp appeared as the Queen in Orlando (1992). The text focuses on the historical context of the period in which each film or miniseries was made and1the extent of the portrayals of Elizabeth. 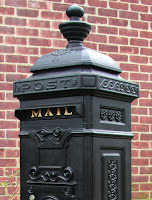 So, that's my mailbox...what goodies showed up in yours? i hadn't seen the wild rose before. great books! Now isn't that last one interesting? I hadn't seen any of these on the blogs before. Gorgeous books. The Wild Rose sounds really good. Enjoy! I love Jennifer Donnelly's books and have both The Tea Rose and The Winter Rose on my shelf but I haven't gotten around to reading them. That's exciting that the third book will be out soon and that it's available on NetGalley. I've read both Revolution and A Northern Light and really enjoyed them so I'm excited to start this series. Maybe once school is out for the summer I will be able to devote the time since these books are chunksters. OMG...Jennifer Donnelly has a book 3 coming out?? Loved The Tea Rose, and I better get bust with my copy of Winter Rose. BTW...Amy, Thanks so much for the sweet comment on my Mother's Day post. I appreciate it. Wow...Leaving Van Gogh looks great. Van Gogh is one of my favorite painters. Love him. 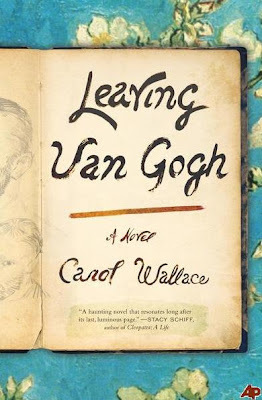 I am really intrigued by "Leaving Van Gogh." I lived in Paris for many years and loved to tour the art museums and study Van Gogh's paintings. The story of his life is sad. I had the chance to visit his grave (he's buried next to his brother) and even at this site, there seemed to be an air of sadness. I hope that if there truly is a Heaven, he knows how much beauty he left in this world for others to enjoy and I hope his soul takes comfort in knowing this. You know I am very excited about The Wild Rose - my most anticipated release of this year! Why aren't you meant to include egalleys from MM?